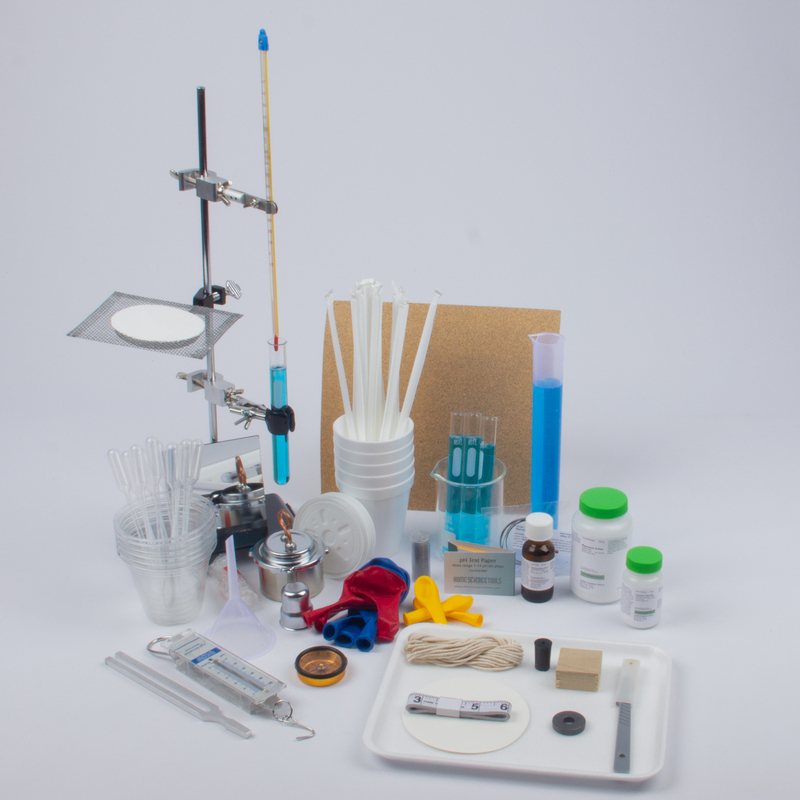 Find the science equipment and materials needed to complete 9th grade lab content in the Monarch and Switched-On Schoolhouse curriculum with this lab kit from Home Science Tools. The most convenient way to get lab materials, this kit contains the 38 most commonly ordered items for completing most activities in the science curriculum, including a ring stand, alcohol lamp, beaker, and more. The 9th Grade Science Lab Kit from Home Science Tools contains the 38 most commonly ordered items for completing most activities in the Monarch and Switched-On Schoolhouse 9th Grade Science Curriculum. Materials help you complete activities throughout the year that teach students about density, atomic structure, chemical changes, viscosity, pressure in gases, and more. Wood block, 1.5" x 1.5" x 0.75"